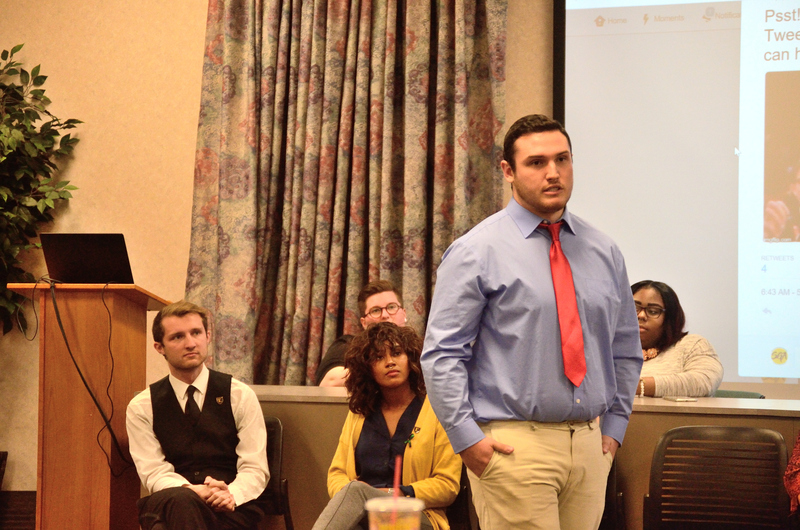 The second SGA executive debate touched on a variety of subjects Wednesday night. The debate began at 7 p.m. in the Culp Center Forum Room and was comprised of questions from both secretary of interior Dominique Cain and secretary of public relations Emma Hammer as well as from Twitter and audience members. Although the crowd was small, that did not deter the candidates from taking the questions and answers seriously. 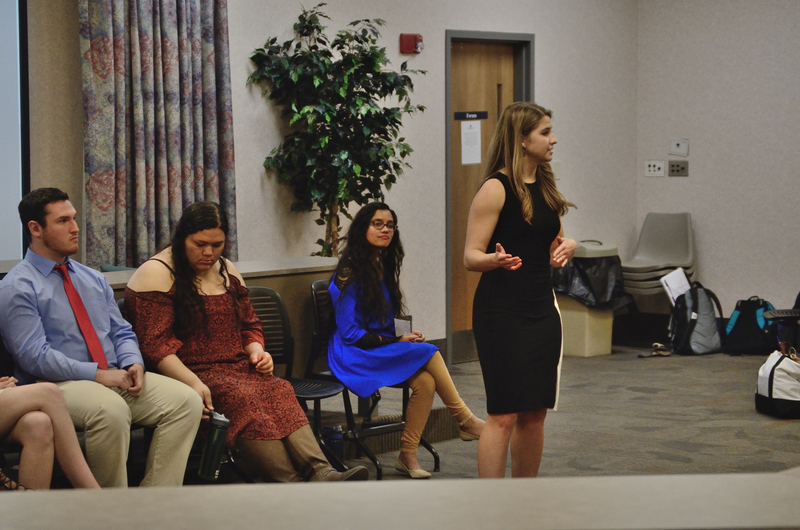 The candidates running for president are Nathan Farnor and Keyana Miller; vice presidential candidates are Alexandria Wells, Hunter Shipley and Morgan Munsey and secretary candidates are Megha Gupta and Annie Malcolm. There are two tickets running and one candidate running solo. Miller, Shipley and Gupta are ticket KHM. Farnor, Munsey and Malcolm are ticket NMA. Wells is running solo. Faculty Senate President Susan Epps served as the moderator. Candidates had two minutes to answer the question and took turns answering first. The first question was directed at the presidential candidates and asked how they plan to manage their time if elected. Both Farnor and Miller recognized that SGA needs to be top priority. The second question asked the vice presidential candidates about guns on campus and whether or not they support faculty and students having the right to conceal carry. Munsey also mentioned her ticket wants to start an activism response team so students will be able to learn how to be an active citizen. Shipley is personally in favor of faculty carrying guns, but he understands why some students feel differently. He also said the members of his ticket also share different views on the subject than he does. The remaining questions in the debate included increasing transparency in SGA and parking services, increasing representation for National Panhellenic Council sororities and fraternities, tuition and fees increases, sustainability and how to get more students and faculty involved in on campus events. Wells advocated for freshmen who enter ETSU having the same student fees for four years so low income students can budget their money better. Official campaigning begins April 10 and ends April 13. Candidates will be on campus to share more about their platforms and beliefs during that time.